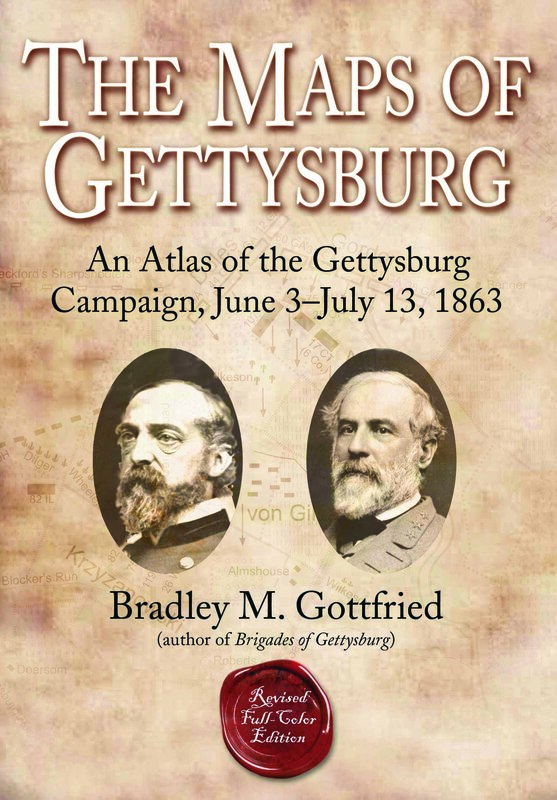 This was the first book in a series that I hope will span every campaign in the Eastern Theater of the Civil War. It was also a book that was almost never published. There were many problems. First, I couldn’t find a publisher. Nobody could understand the concept and passed on it, until I contacted Ted Savas. He immediately got it and I got to work. The second problem was finding a cartographer. I contacted a prominent one and told him that he would be the co-author and share all royalties, etc. He agreed, and I sent him roughed out sketched and he would turn them into finished maps. Things turned sour when I asked him to add vegetation features, such as cornfields and hayfields. He promptly quit, probably realizing that this was a bigger project than he had anticipated. I approached another prominent cartographer, but we had creative difference and I terminated the relationship. I realized that the only way this book could or would be published was if I wrote the text AND prepared the maps. My future wife showed me how to create them and the rest is history. The maps are not fancy and I am not trying to produce beauty as much as illustrate what happened during this fateful campaign. I know realize that the only way to produce these books is by writing the text and preparing the maps. I work on the two simultaneously and they inform each other. There have been many instances where first-hand accounts become unreliable, when I try to map the information. I get so much satisfaction from writing these books and I learn so much. It is definitely a journey.